In mid-June, Lexus, the luxury vehicle division of Japanese automaker Toyota came out with a video in which they presented their latest product, a “real, rideable hoverboard” which they called Slide, but the video didn’t contain any other information, except that tests will be performed in Barcelona, Spain, this summer. Much later, the Spanish website El Patín reported that Lexus already built a special skatepark where the hoverboard can be tested. This is not a joke, so prepare to embrace the future! You’ve seen magicians “levitating” on TV, but as far you know, people can’t just soar into the air, unless they use specific equipment to lift them off the ground. So, in order to make this possible, the car company Lexus worked on a hoverboard that is powered by liquid nitrogen cooled superconductors and uses magnets to move around in the air. The only problem was that the hoverboard worked on special metallic surfaces and until a month ago, nobody knew that Lexus would actually build a park in village called Cubelles, located outsid Barcelona, in order to fulfill all the requirements to test this flying thing. Lexus has big plans for this product and that’s why they moved fast and built the park within a month. In the video, the park looks “normal”, like any other skatepark with half-pipe and ramps that dot the cement, but actually, the pavement is covering a magnetic track, which, at some point curves up into a sloped wave feature that is about nine stairs high. The park appears to be unfinished, and we don’t know if Lexus has built it only to shoot the ad campaign for “Slide”, or if they will let the average enthusiast and non-skaters try it out. What we do know is that the device will appear in an ad campaign next to a Lexus vehicle that will air in the near future. 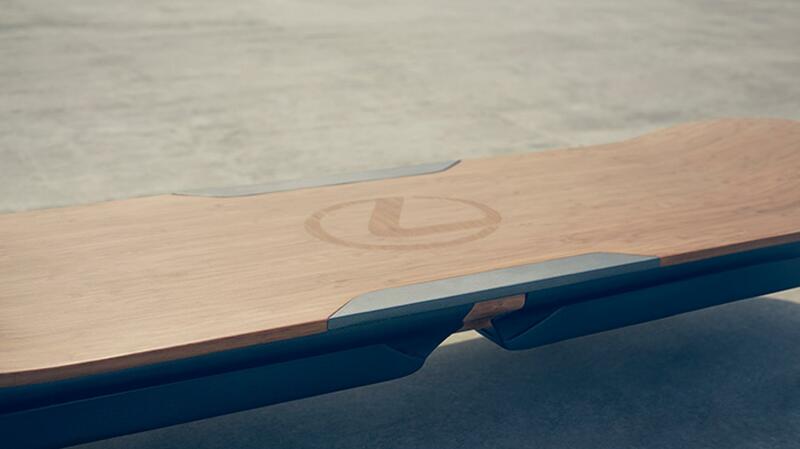 Would you ride the Lexus hover board? Where do you think they are going with this idea? Next articleDetect Someone Stealing Your Wi-Fi Connection – How Easy Is It?